The Chinese Embassy in UK Holds Opening Ceremony of "Children Chinese Class"
On November 5, the Chinese Embassy in the UK was full of laughter and happiness. 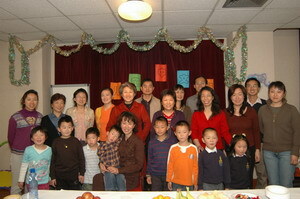 Nearly 10 diplomatic families joined together to celebrate the opening of the "Children Chinese Class" in the Embassy. H.E. Mme. Ambassador Fu Ying attended the ceremony to extend her congratulations and took photos with the children. She denoted: children are the future of our country and the Party Committee of the Embassy pays great attention to the education of the accompanying children. The opening of the Chinese Class is the result of the efforts for building a harmonious embassy; on the one hand, it aims at both strengthening the Chinese education of the accompanying children and eliminating the trouble at home of the staffs. As the offspring of diplomats, the children leave their homeland and live with their parents in a tonally stranger foreign country. Many children can speak fluent English, but their Chinese is gradually retrogressing. The Embassy specially appoint two accompanying family members of the staffs with abundant teaching experiences as teachers of the Chinese Class. 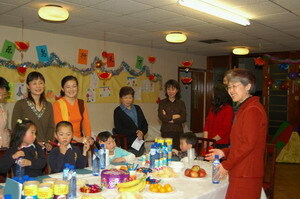 It is believed that the children will learn a lot thanks to the hard work of the teachers. 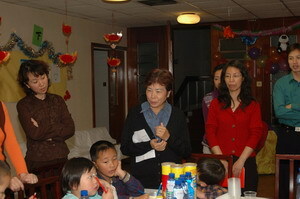 Fu Ying thanked relevant sections of the Embassy, the teachers and the parents for preparations for the class. 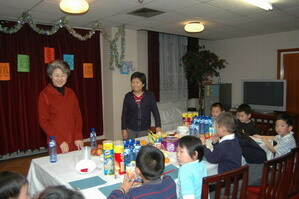 She specially thanked the teachers: Ms.Zhao Xianglan and Ms.Liu Zeling. The parents and children took the floor one after another and expressed their happiness for the successful opening of the class. The atmosphere was lively and ardent.